New investors Emerald Development Managers and MMG Opportunities contributed to the round, along with existing investor The Maryland Technology Development Corporation (TEDCO), through its seed fund, the Abell Foundation. New and existing individual investors also contributed, as did management. 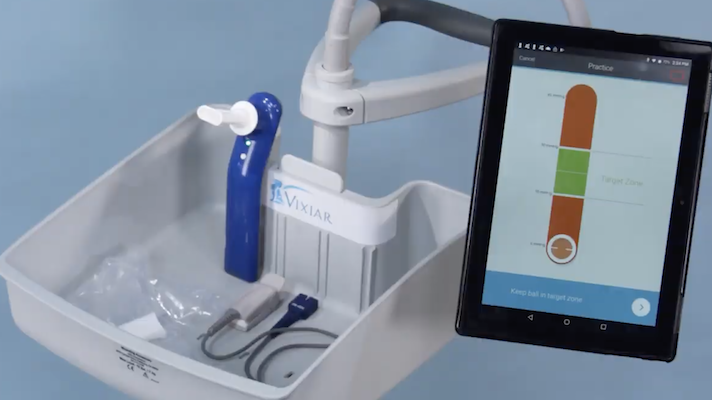 Vixiar’s first product, Indicor, is a hardware and software system for measuring left ventricular end-diastolic volume, which can be used to calculate stroke volume, an important biometric for monitoring some heart conditions. It consists of a tablet, a pulse oximeter and a handheld device with a disposable mouthpiece. An app on the tablet trains the patient to perform the Valsalva maneuver, a method of breathing into the device, then guides the patient through performing it for the actual test. Measurements from the oximeter and the device are then displayed on the tablet. The test can potentially detect heart failure early and is smaller and cheaper than alternatives, the company says. The company will use the funding to complete an ongoing clinical trial of Indicor and to prepare a regulatory submission. The device is not yet FDA cleared. While there are plenty of digital health startups dedicated to cardiac monitoring, most focus on modalities like heart rate and ECG. One company that is focused on fluid monitoring is toSense, which makes Cova, a wearable necklace that can measure stroke volume. It was FDA cleared just over a year ago.